Custom stamped leather key fobs used to keep your valuables close to you & safe! As functional as it is fetching, this leather key fob can help you out with that key losing problem. 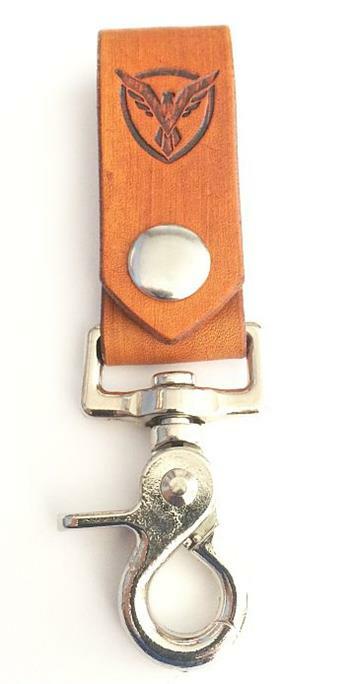 Clip the hardware to a belt loop or snap the leather bit around a strap. 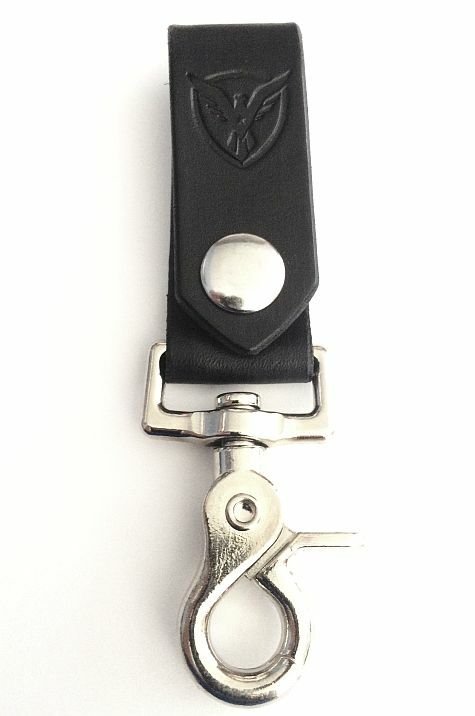 As functional as it is fetching, this leather key fob can help you out with that key losing problem. Clip the hardware to a belt loop or snap the leather bit around a bag strap to keep them in plain sight. 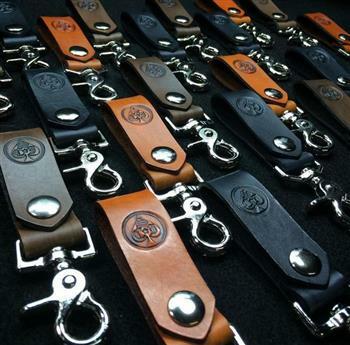 The leather key-chain comes in your choice of saddle black colored vegetable leather, which will patina over time, aging with character.